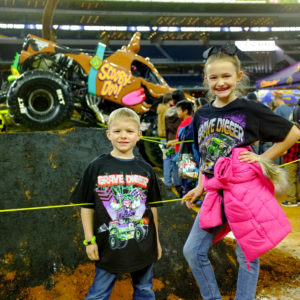 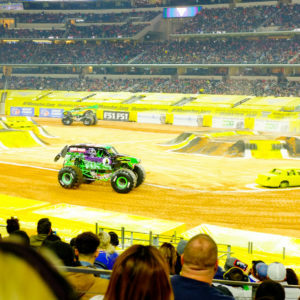 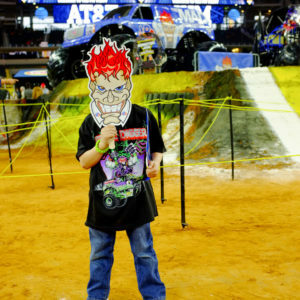 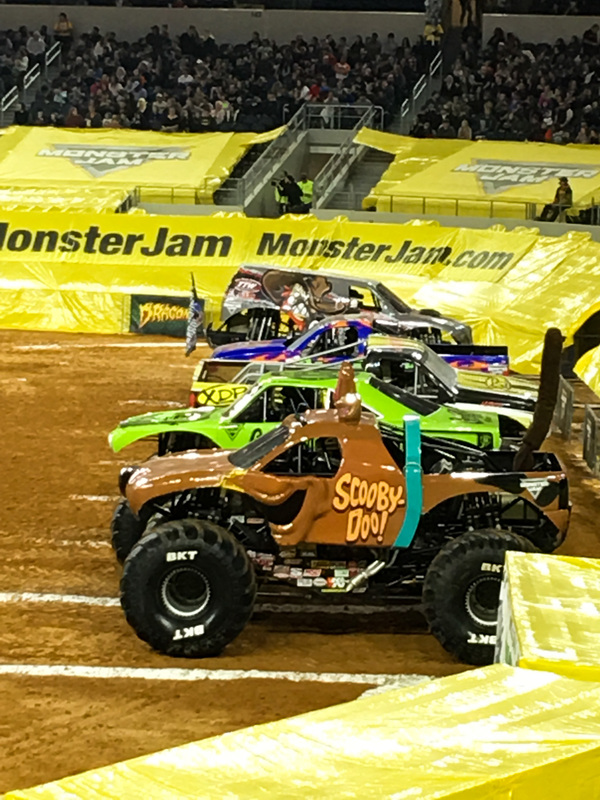 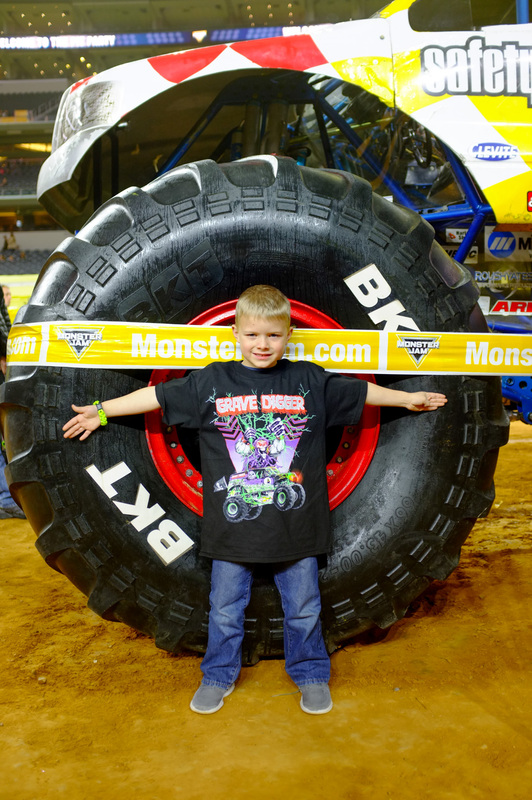 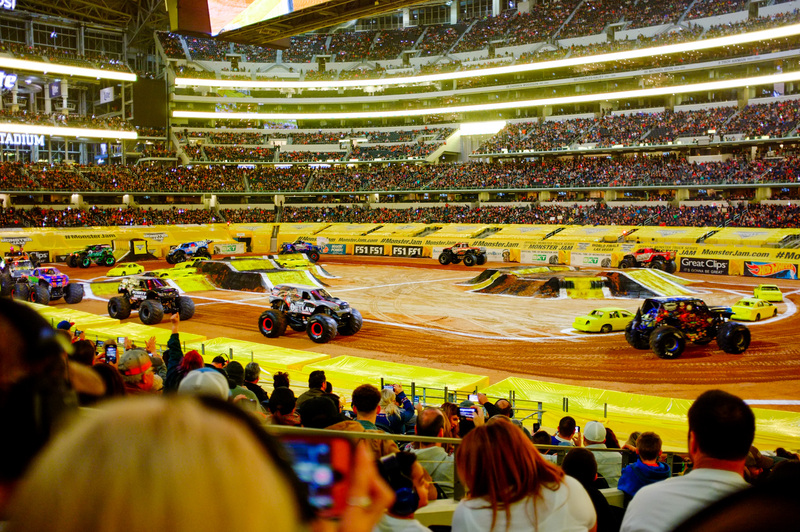 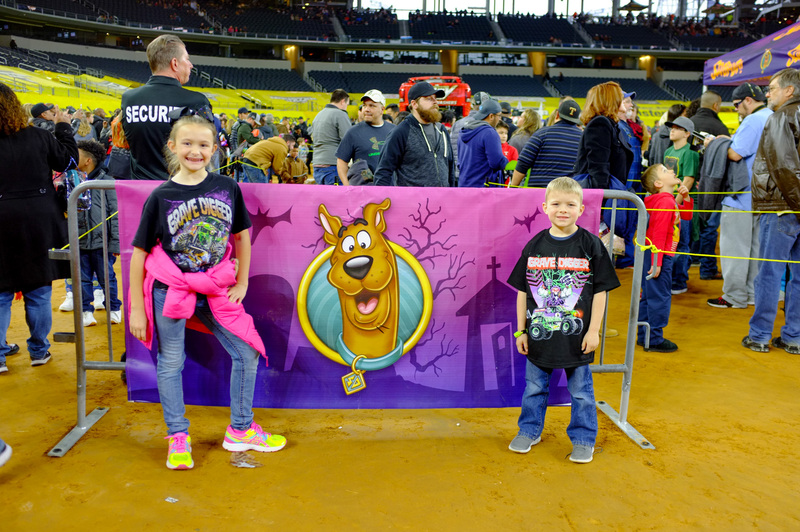 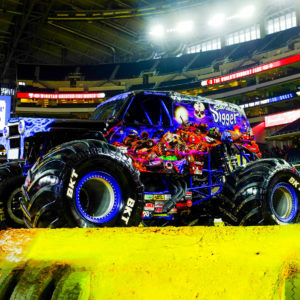 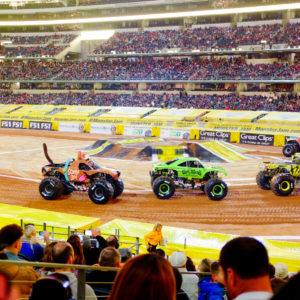 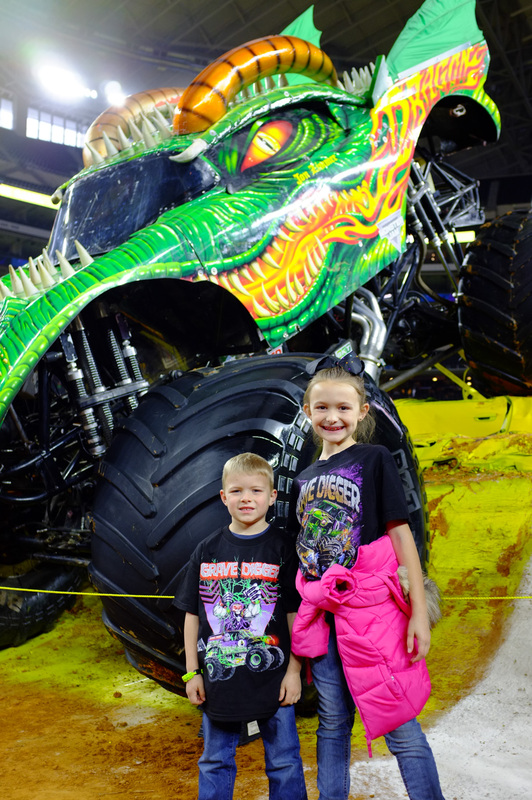 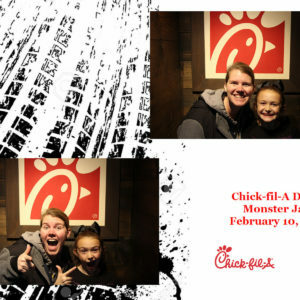 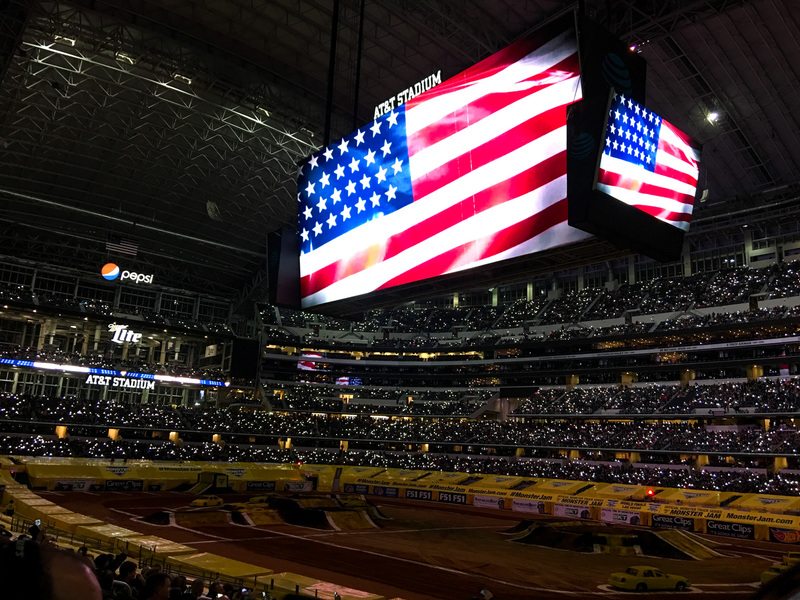 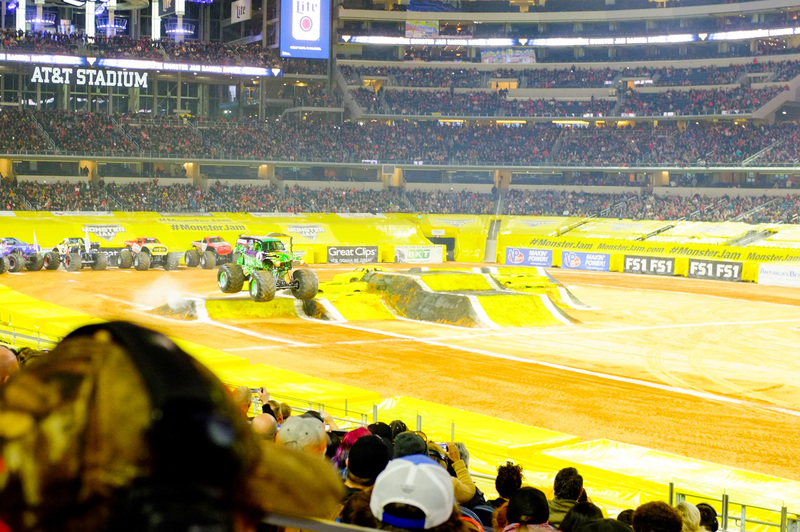 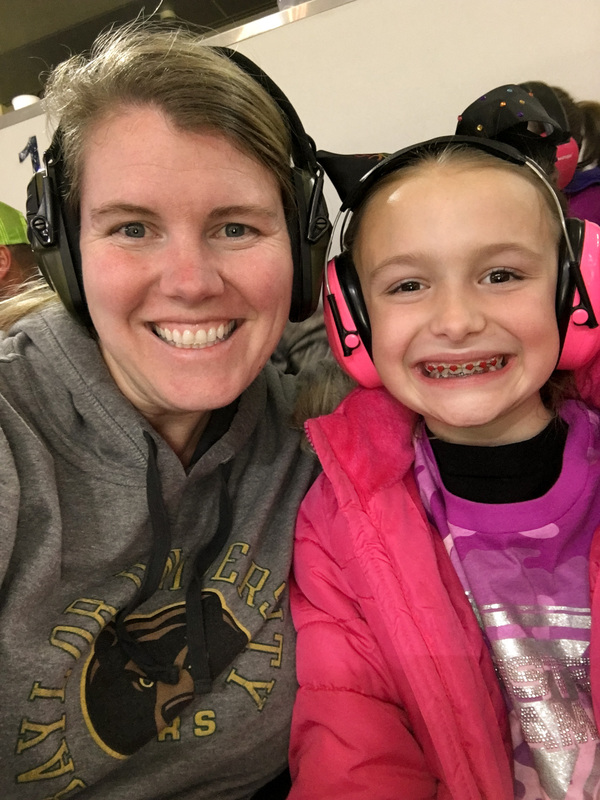 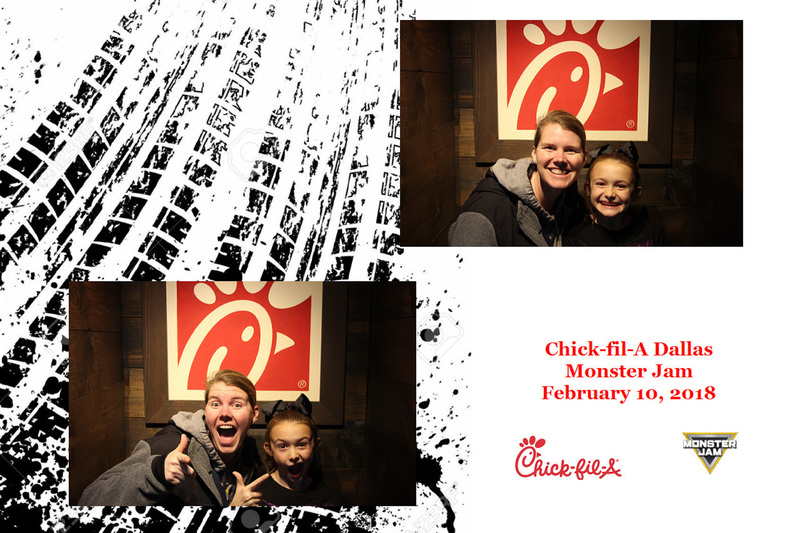 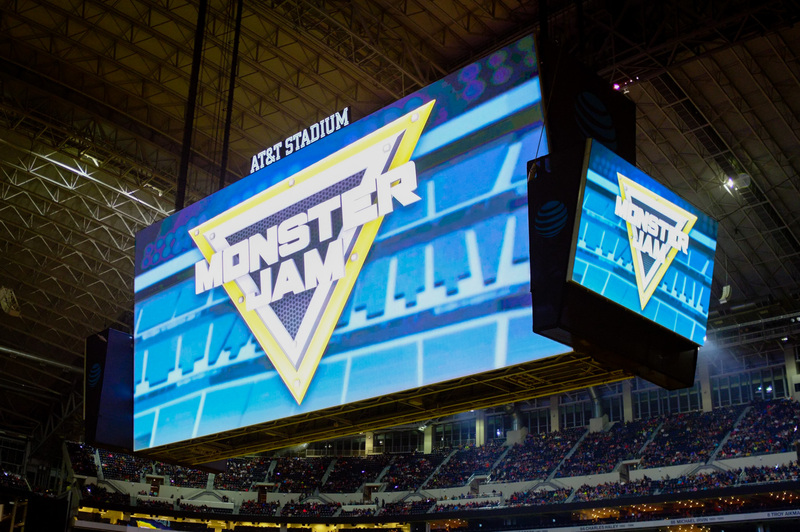 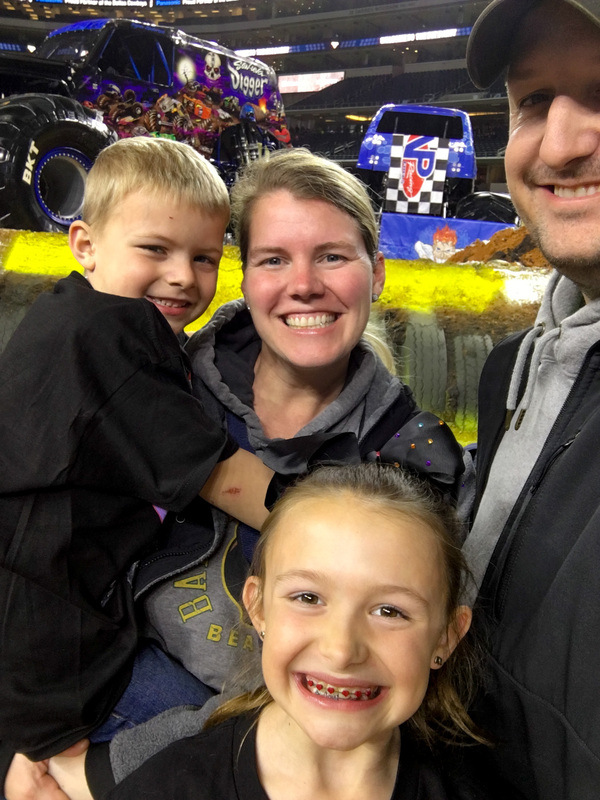 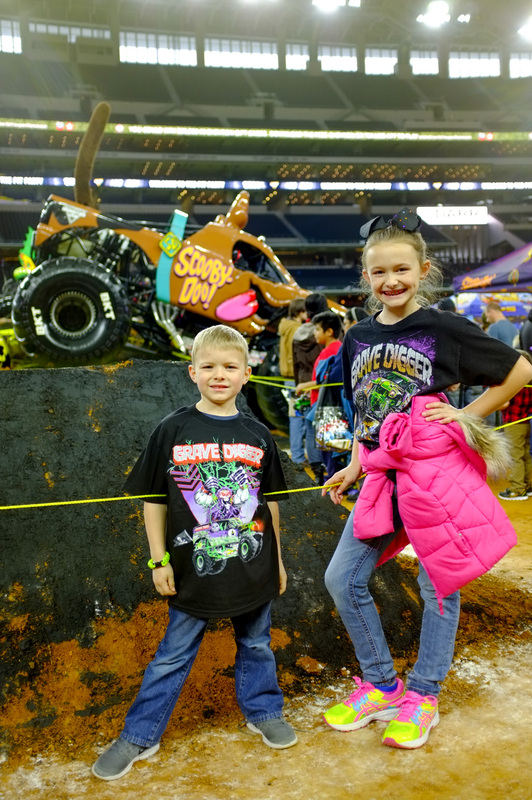 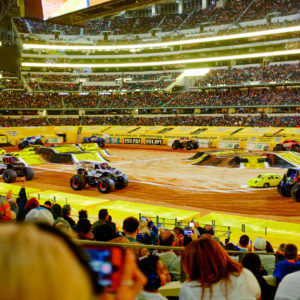 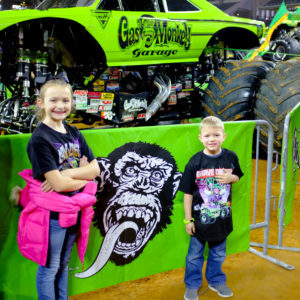 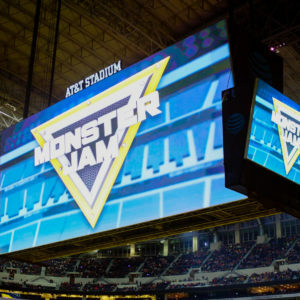 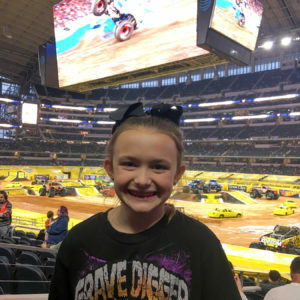 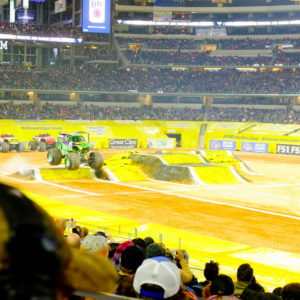 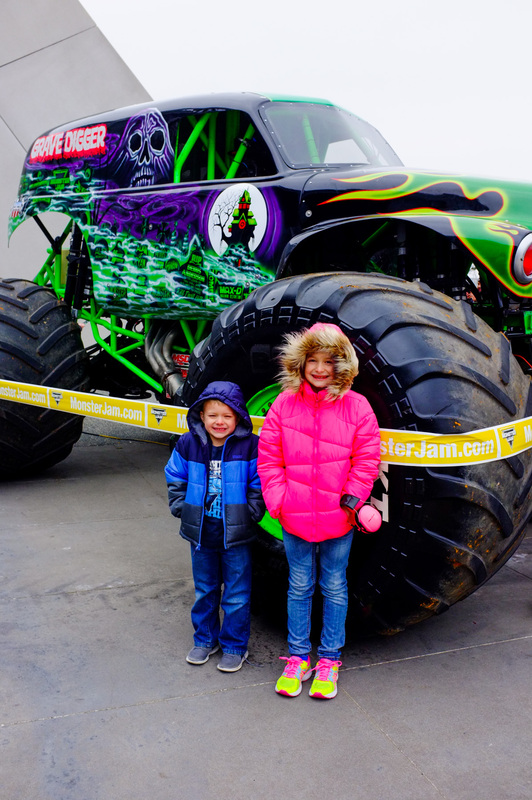 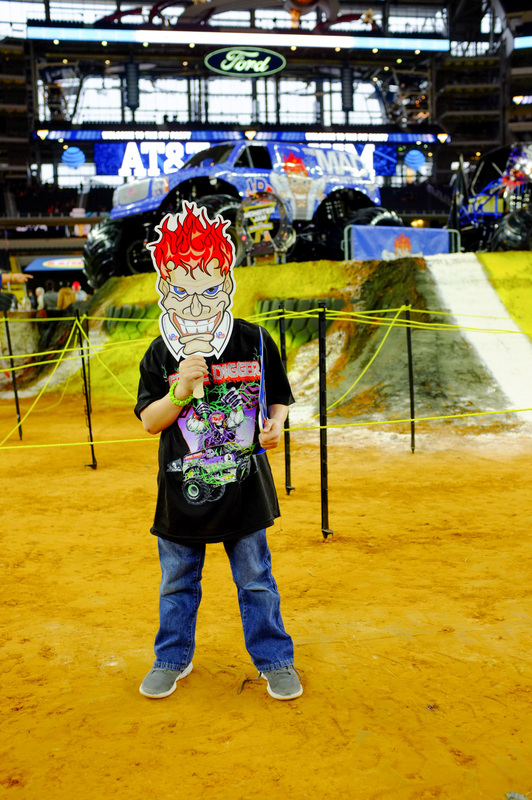 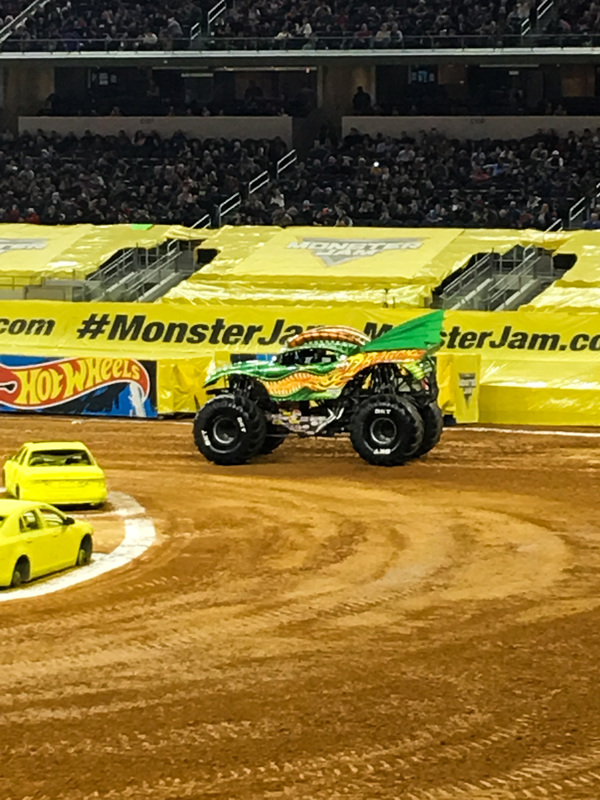 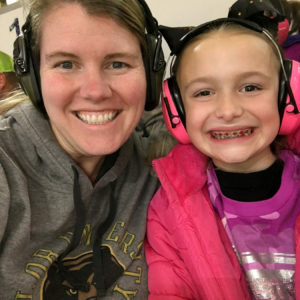 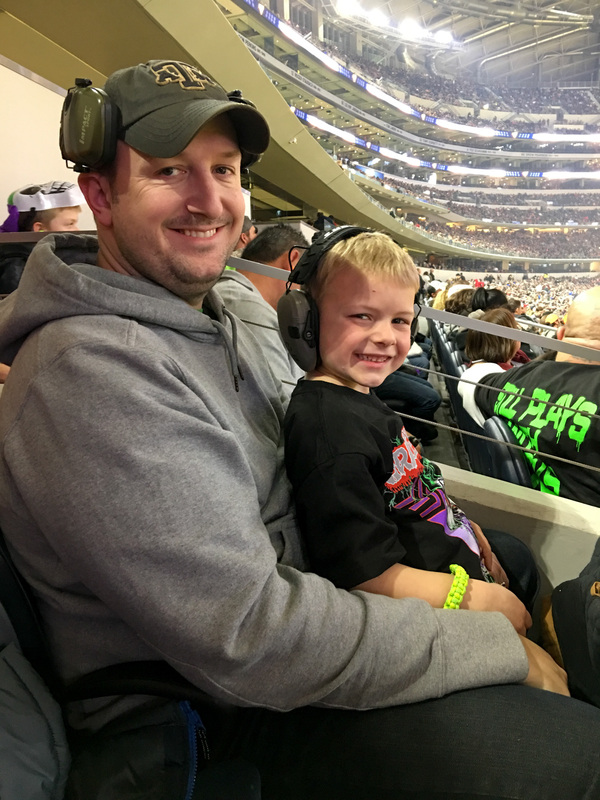 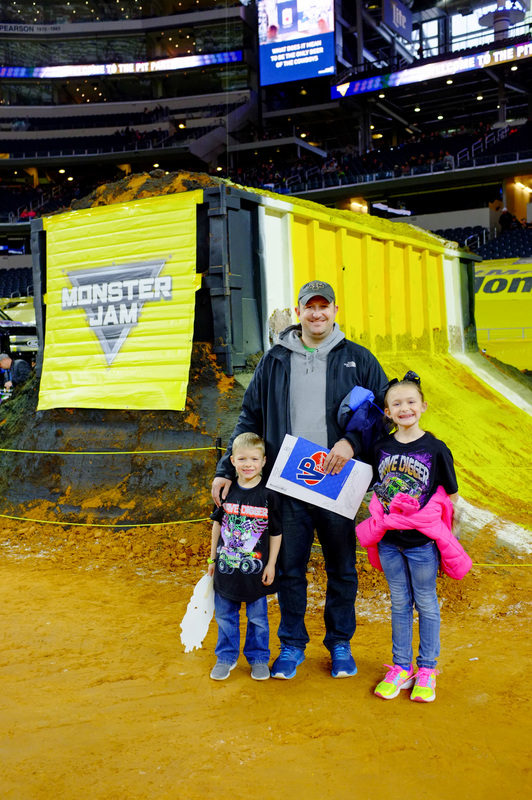 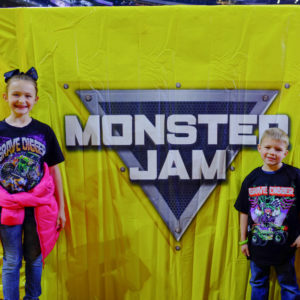 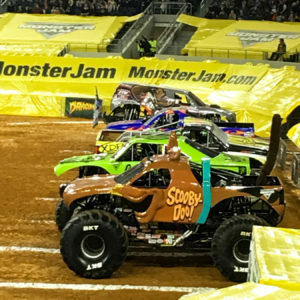 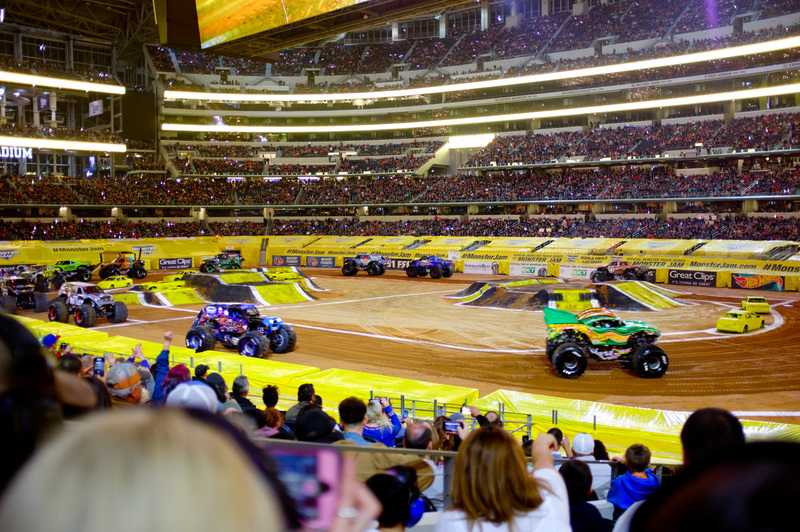 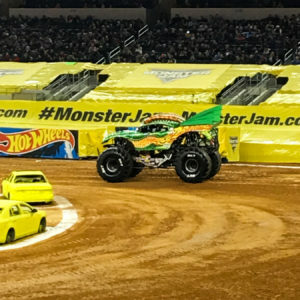 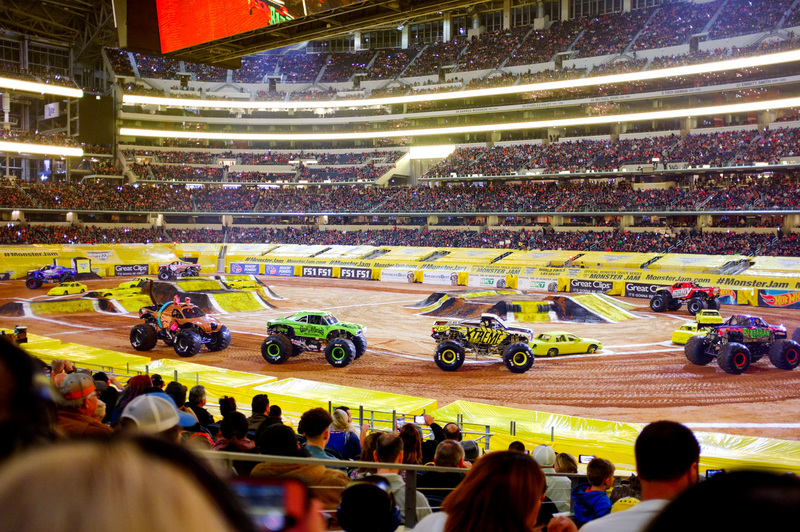 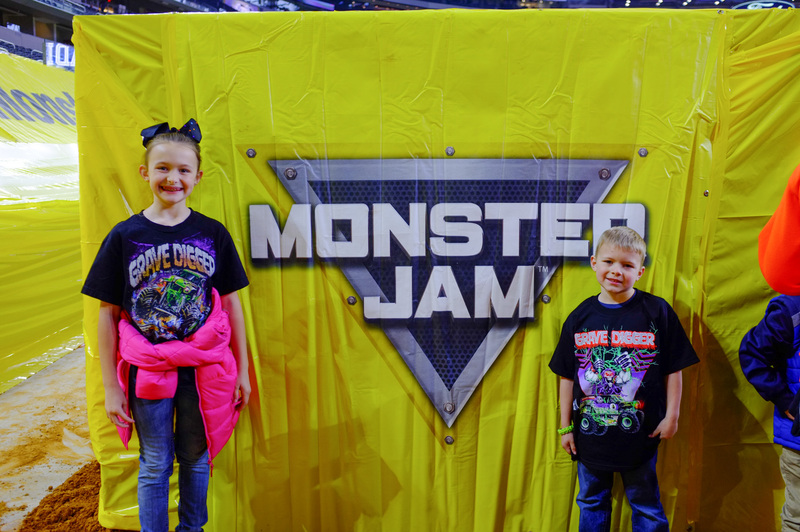 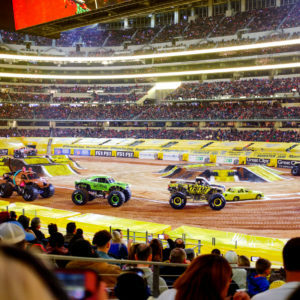 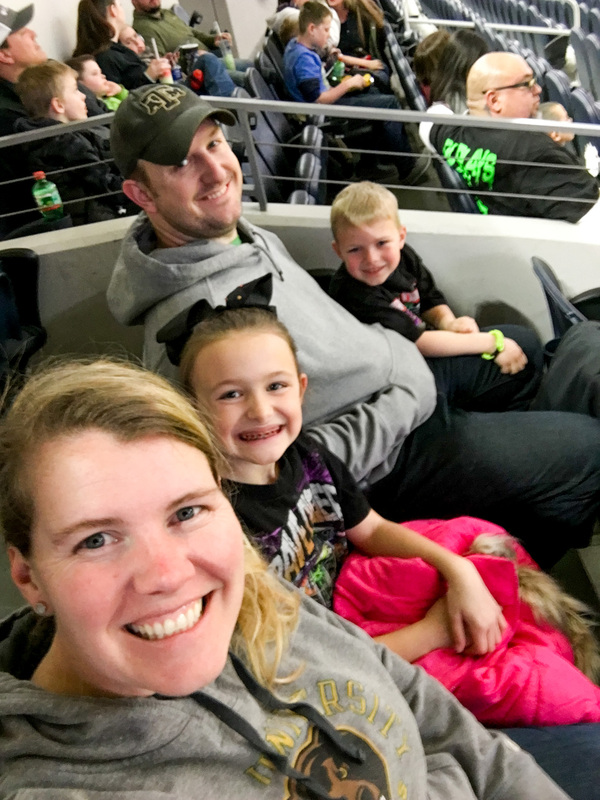 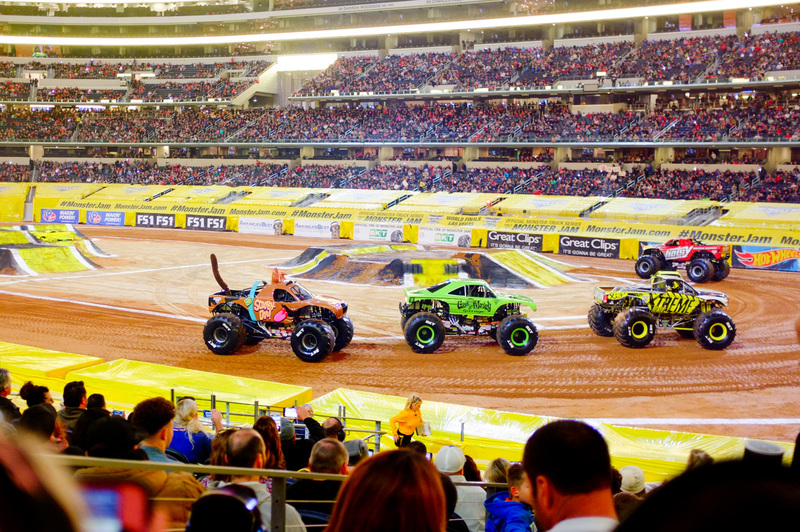 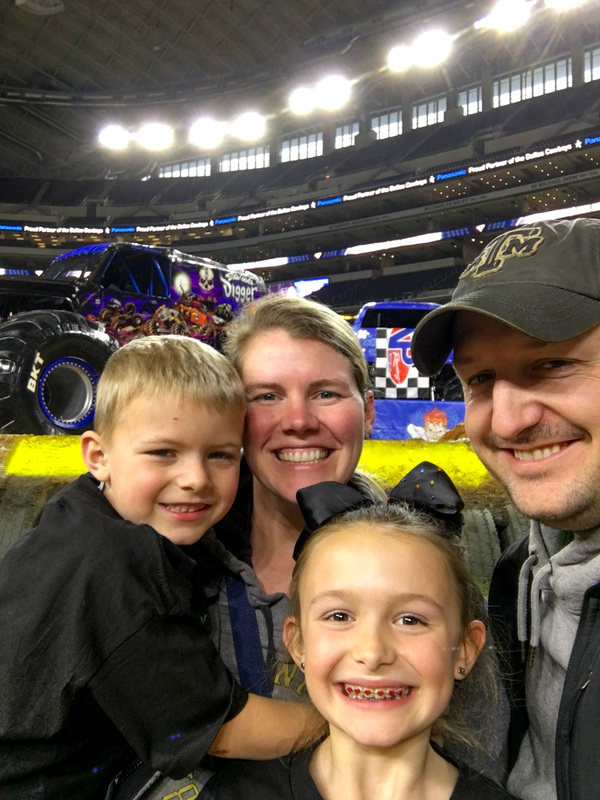 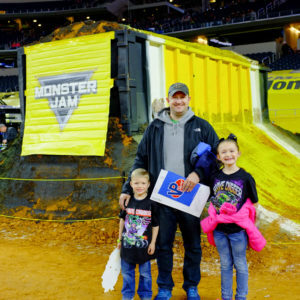 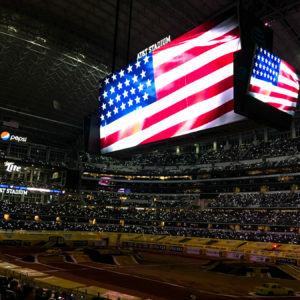 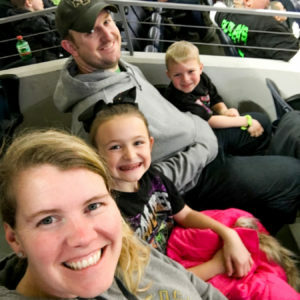 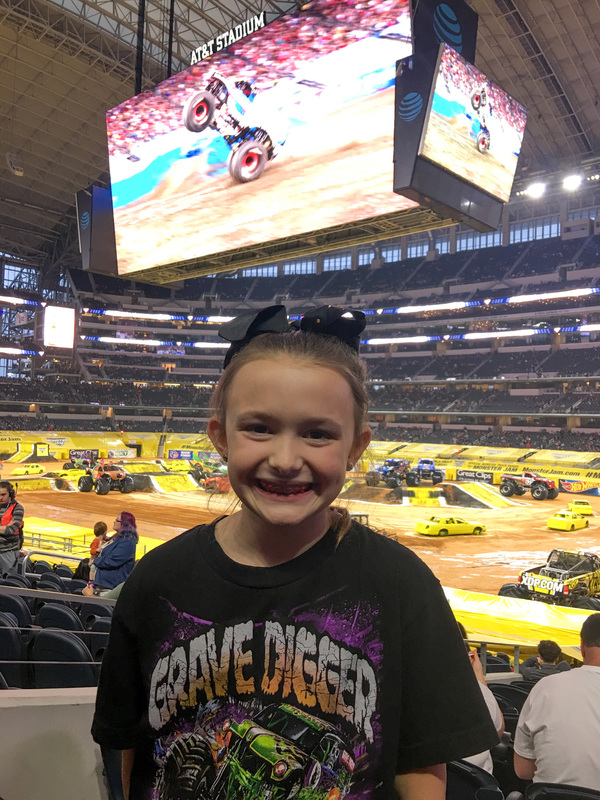 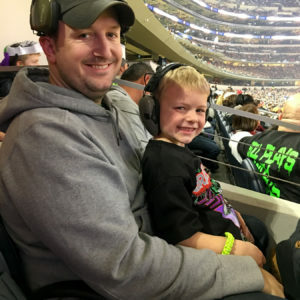 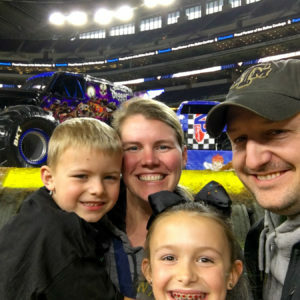 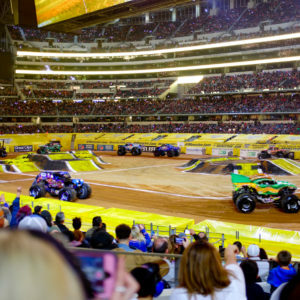 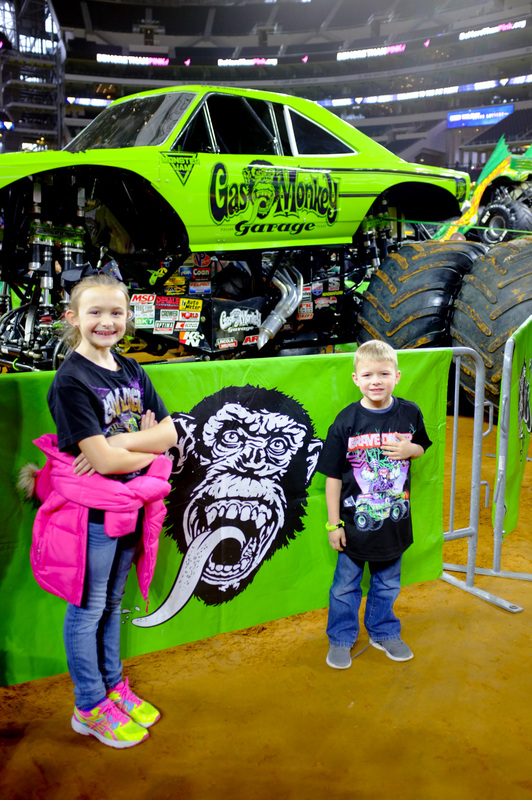 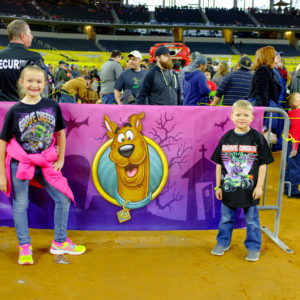 My kids went to Monster Jam last year with Grandma and Papa and had so much fun, so I knew we would have to go again when they came back. 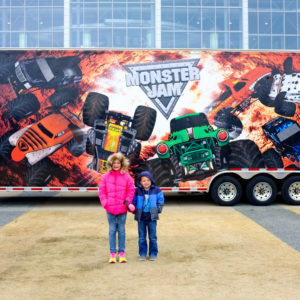 Well a year has passed and they are back! 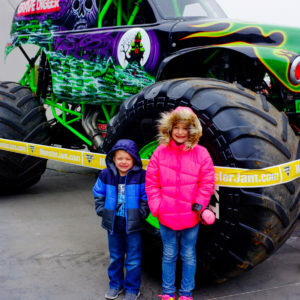 I bought tickets months ago and didn’t tell the kids till a few weeks ago that we were going. 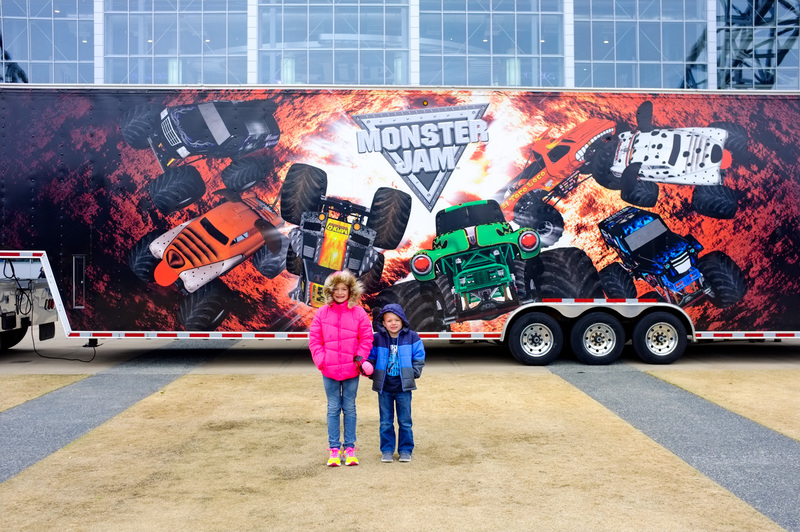 They were super excited and couldn’t wait to show Mommy and Daddy the cool trucks. 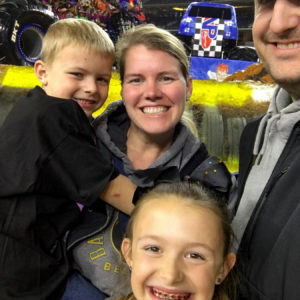 Before the show, we had pit party passes and got to go down on the field to see the trucks up close and do some activities they had set up. 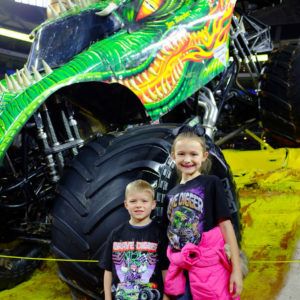 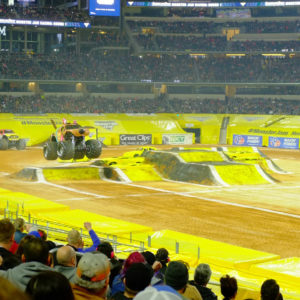 Our seats were awesome and we had such a fun time watching the monster trucks. 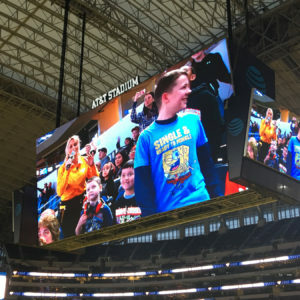 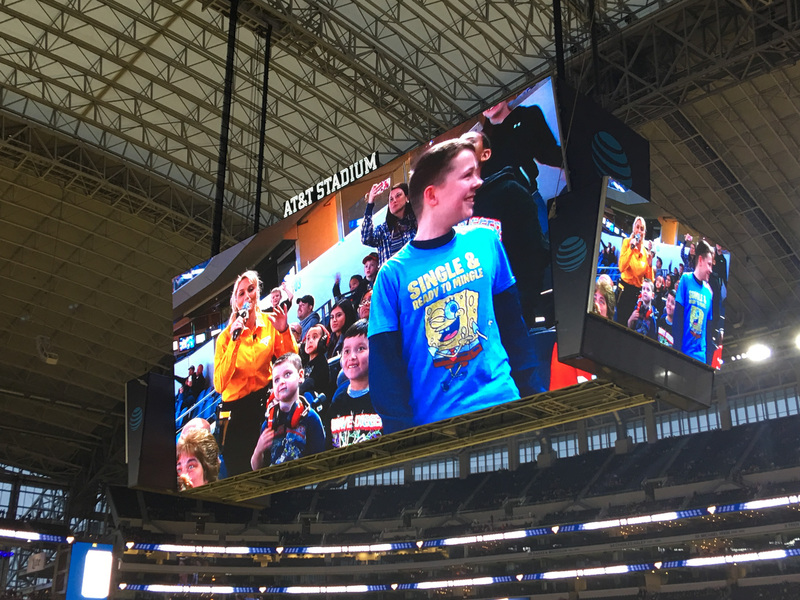 The kids even made it on the video board a few times! 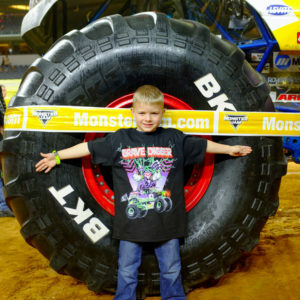 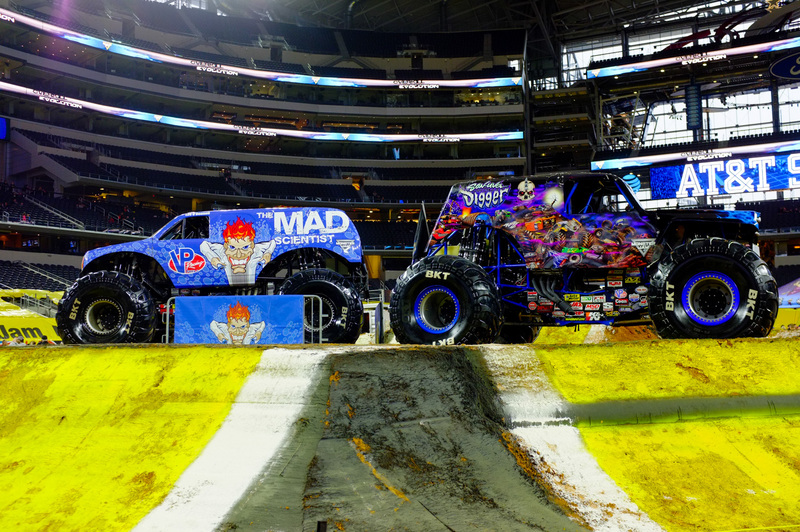 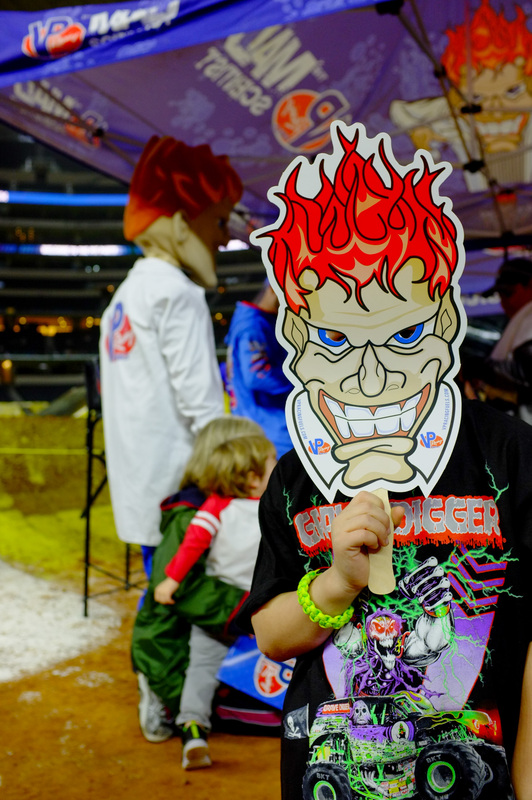 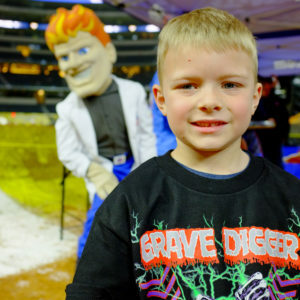 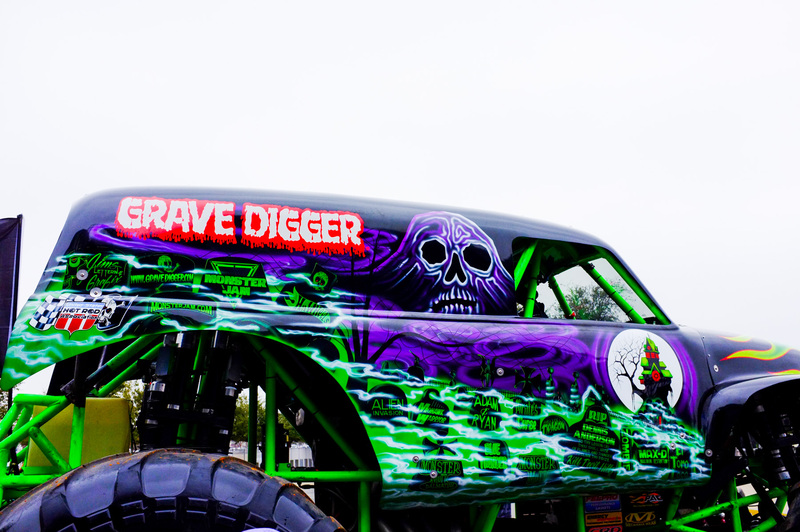 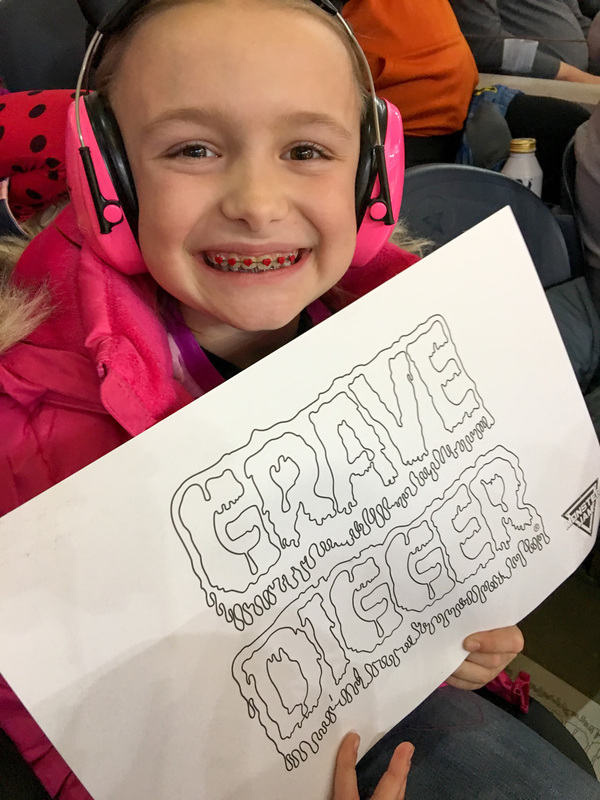 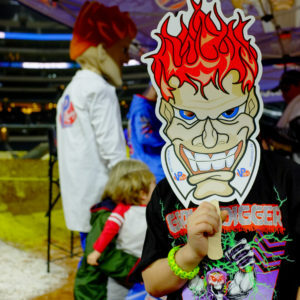 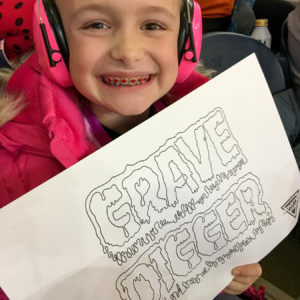 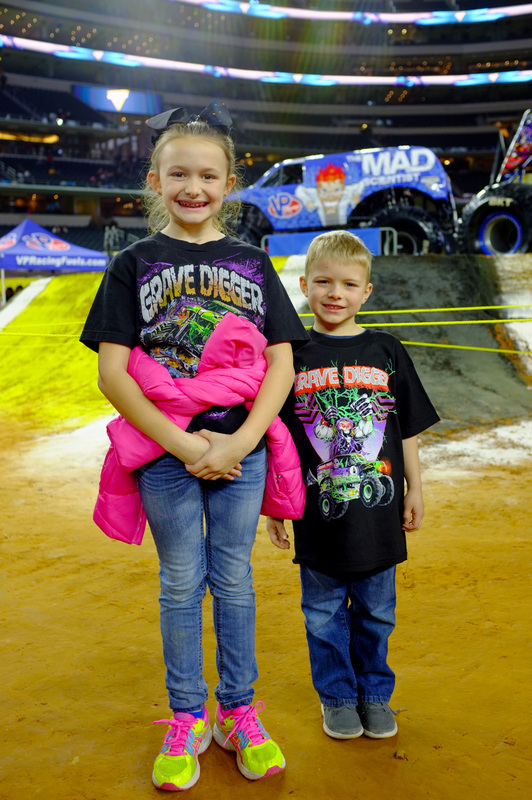 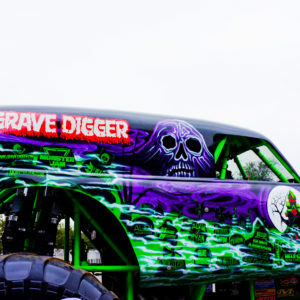 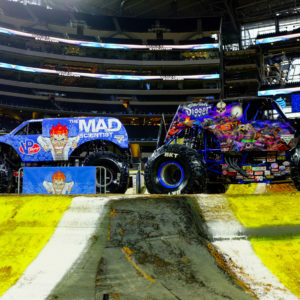 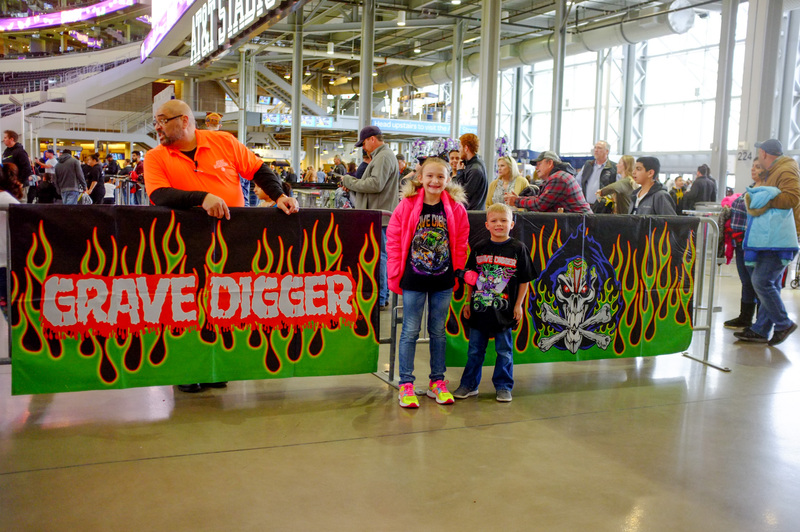 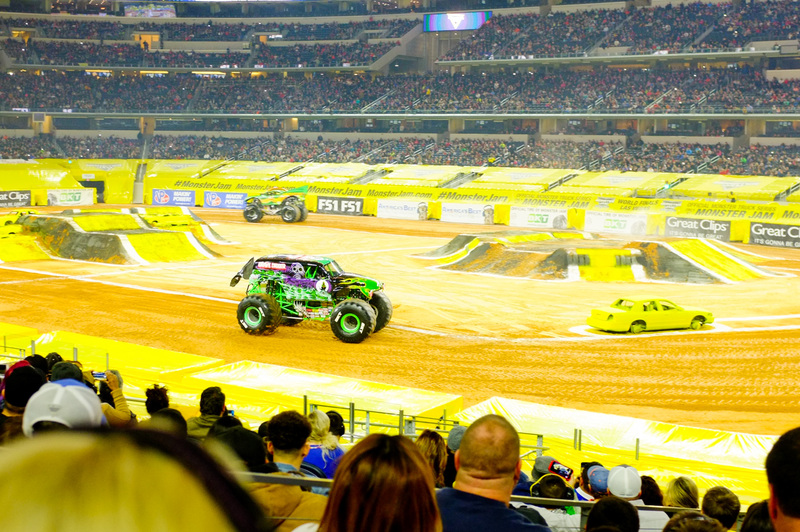 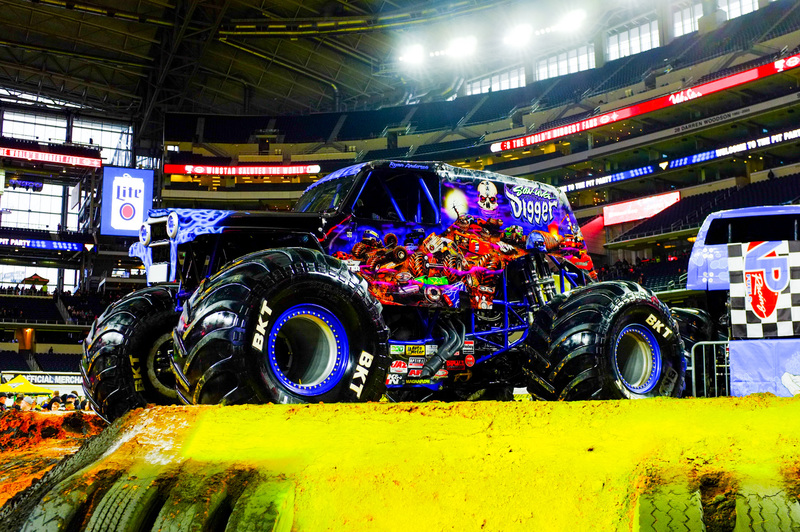 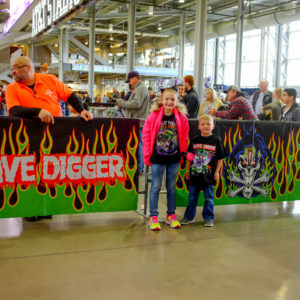 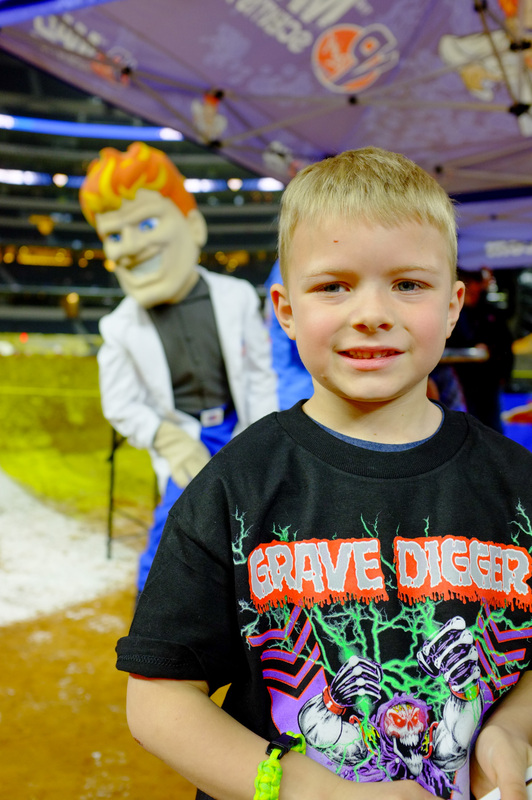 Our favorite trucks were Grave Digger and Son-uva Digger. 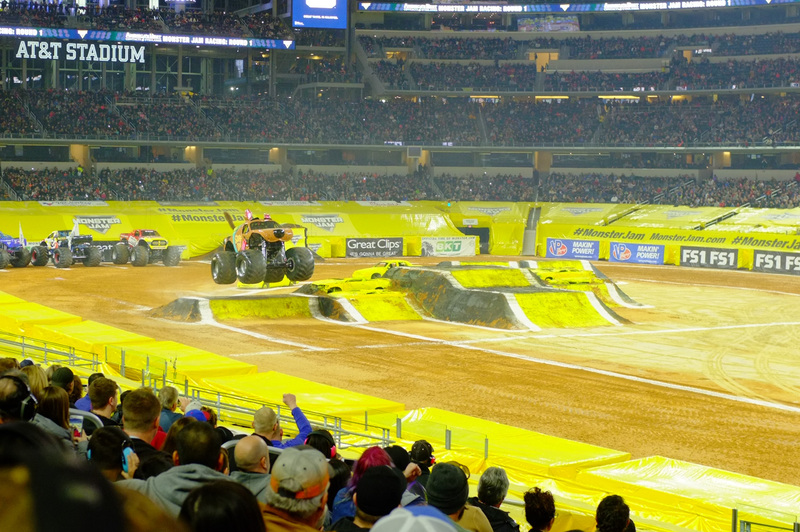 It was super cool when they crashed and also when they did back flips! 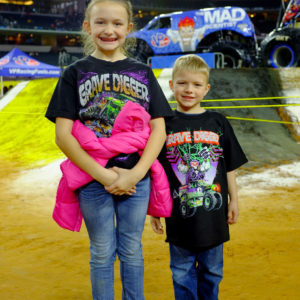 We had an awesome night and I am sure will be back again next year!